In spite of the hints (bordering on spoilers) on the book jacket, this caught me by surprise more than once. Walters' writing seems straightforward, yet she manages to inject mood and emotion into the situations and transactions among the limited cast of this novel. Nicely done. Heartbreaker - Shelve and store your books carefully! 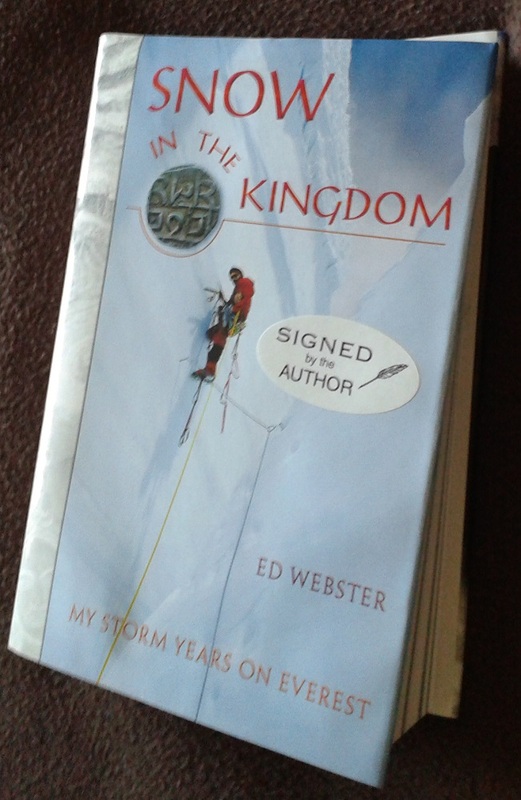 Here is how I describe it on Amazon: "Snow in the Kingdom VG $15.97 SIGNED (Twice) BY THE AUTHOR. Heartbreaker! This gorgeous and significant book would list as New or Like New except that due to improper storage the spine is off center. 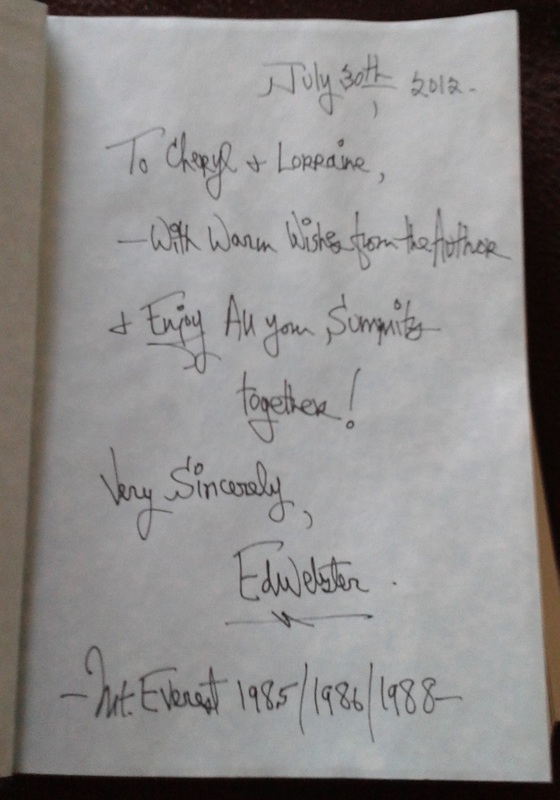 "Title page is signed by the author and flyleaf has handwritten dedication, "July 30th, 2012 - To Cheryl + Lorraine - With Warm Wishes from the Author + Enjoy All your Summits together! Very Sincerely, Ed Webster - Mt. 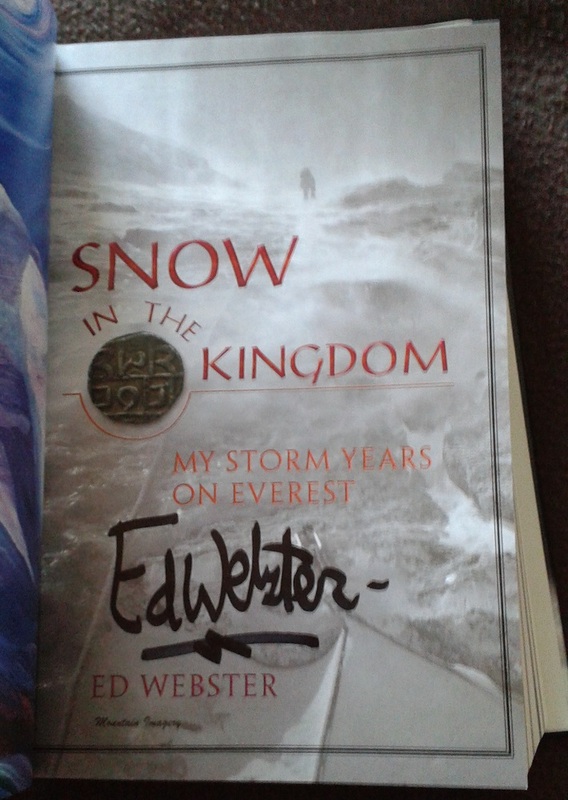 Everest 1985/1987/1988"
"Book is very heavy with glossy paper and tons of color and black and white photographs, maps, etc. 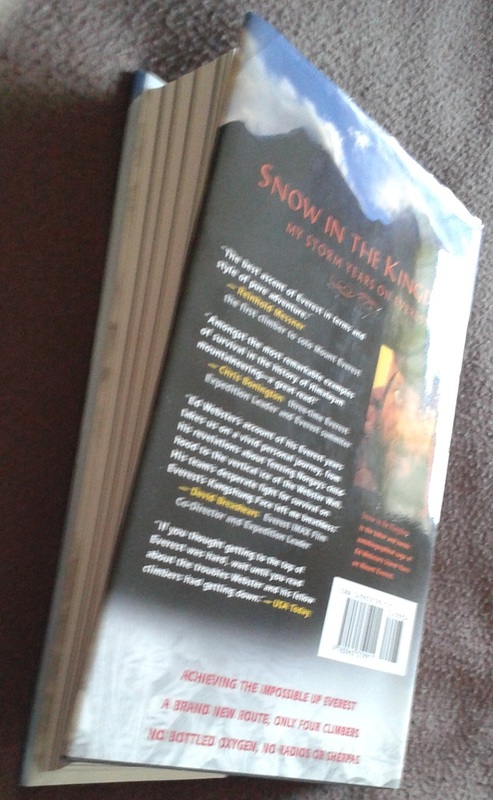 "Curvature of the spine" can be manually corrected and then book will stand upright between others or bookends, or displayed on a coffee table, but I feel full disclosure requires mentioning it."